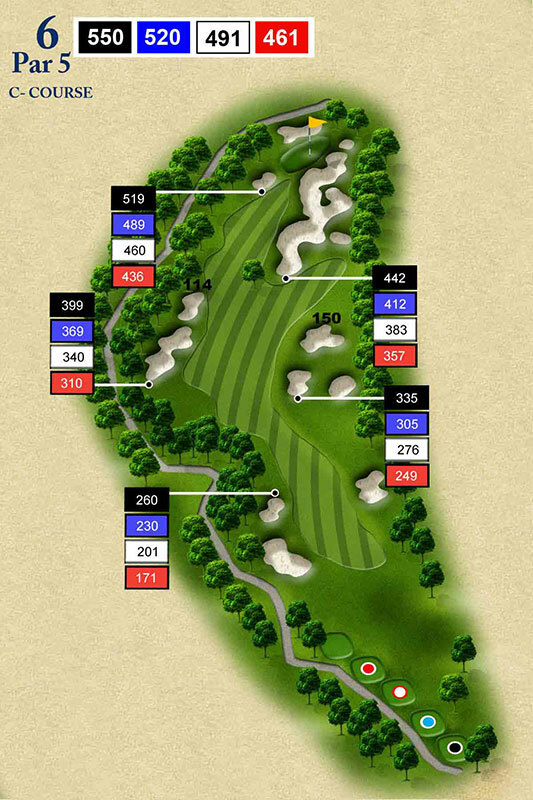 #4C For the better player, a tee shot to the lower fairway level offers a shorter shot with a better angle to approach the green. 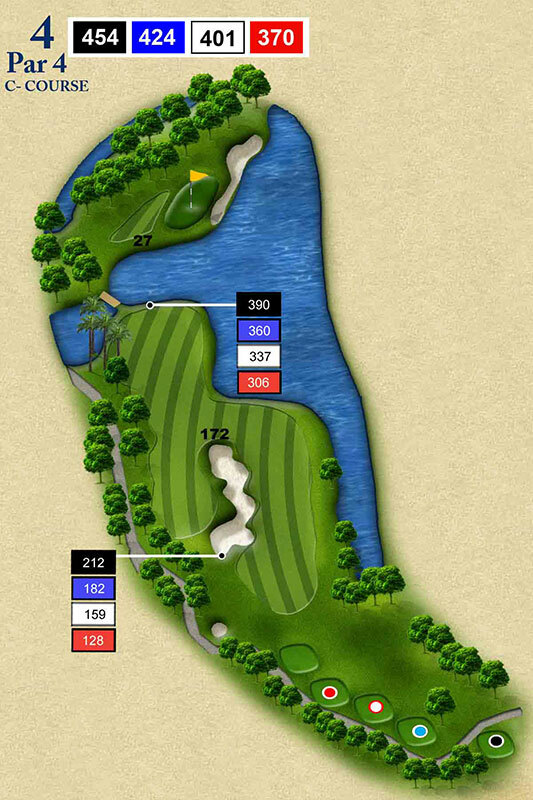 The shorter player will want to keep toward the upper fairway, away form the water. 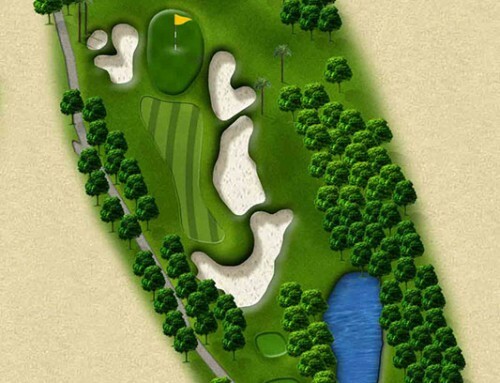 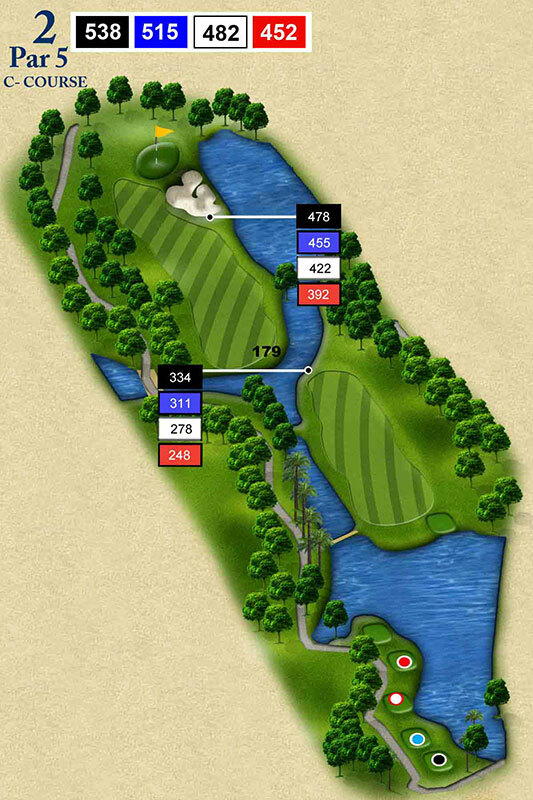 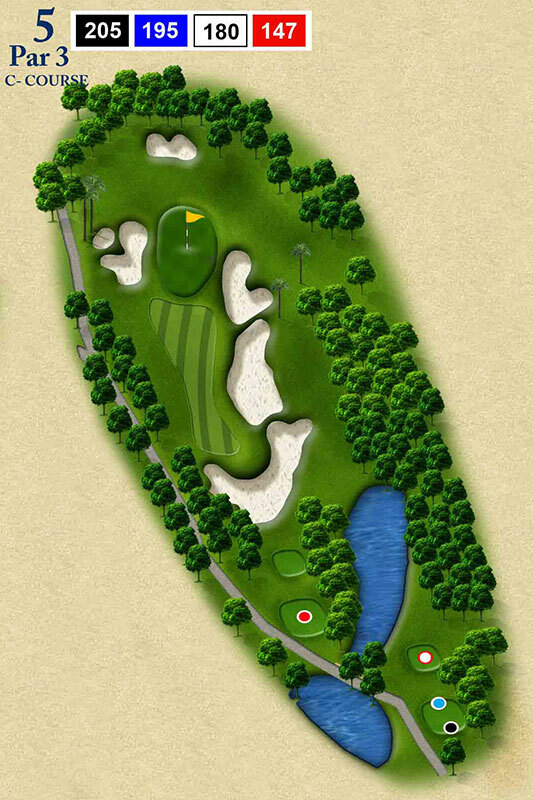 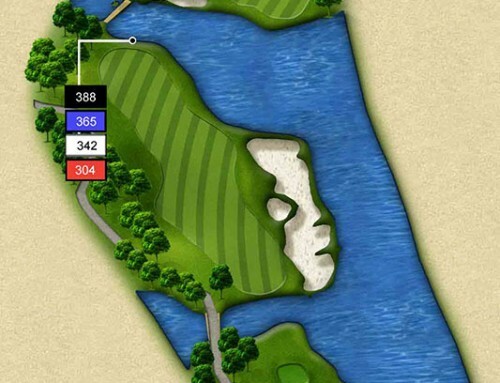 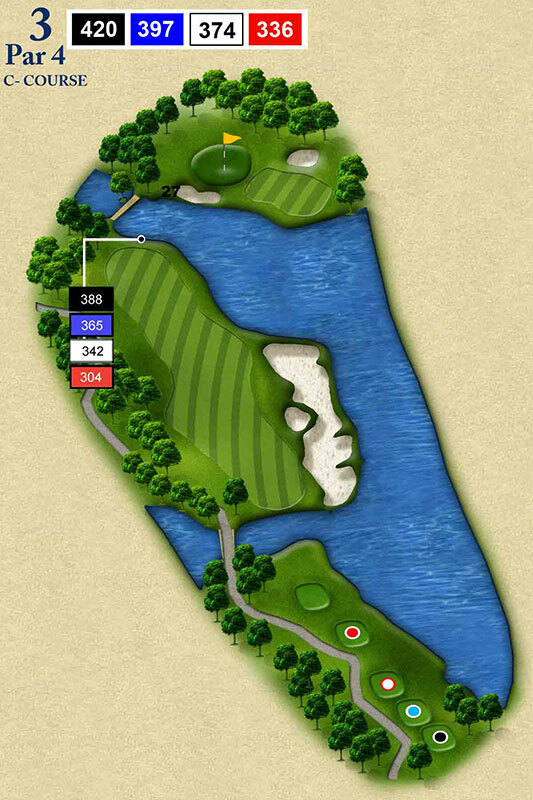 The second shot may be best if played short into the swale in fornt of the green and allowed to run up to the flag.